My work about the circus started in 1997 in Milan, sharing the journey of three Italian circus families: the Franchetti (Circus Barcellona), the Casartelli (Medrano) and the Togni (Darix Togni and American Circus). Year after year, I was able to see new things through the perspective of the big top: the circus people, their show, their backstage work, their continuous journeys, and the bonds inside a small circus family became familiar to me. Sometimes the Circus was transforming itself, becoming as exactly how I think it should be: absolute ideal of fantasy and creative power. Medrano and Darix Togni are big circuses, well-known in Europe. The Barcellona is a small family structure circus. Spending a long time with the Barcellona circus, I could see how people of this family and the Big Top are entwined so tightly, connected as in symbiosis. The big top seems to me like an extension of the body of the circus people; all the important moments in their life, such as their birthdays and marriages, are celebrated under the Big Top. The Big Top preserves the identity of the circus, and it embodies a magical entity: disclosing an unexpected reality to the children in the audience and revealing to the circus children, their own craft and destiny. The journey of the circus is, at the same time, an ancestral journey. As Fellini said: "the acrobat, the magician and the lion trainer represent eternal values: force, courage, rigor, physical ability�� But the clown is making fun of us questioning the human being about the fragility, incoherence and absurdity of life". In order to survive the Circus has to continue his journey for ever, without any limits; and not only referring to the caravans�� journey, but referring as well to the ��persona�� the people of the circus represent: the journey of the circus characters must continue, generation after generation, the oral and physical knowledge has to be transmitted. Stepping into the small entrance to the circus is, in a way, as if I am stepping into a small door to my childhood, and sometimes the circus seemed to me so surreal as to be facing again an unbearable reality. Graduated in Fine Art photography at School of Visual Arts in New York in 1996. Leonardo Pellegatta has exposed internationally with solo and group exhibitions in America, Japan, Thailand, France, Switzerland and Italy. His work is often autobiographic, focusing on the intimate dialogue of memory, time and place. Through an observation of the landscape, not as an impartial reality, but as a ��mirror�� reflecting social and subjective identities, he has been exploring narratives that speak of silence and hint of the idea of destiny. 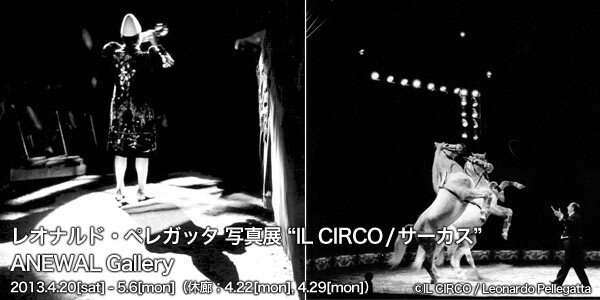 The starting point of his images has been sometimes an inward documentation of social groups with an unusual life style, such as the Circus people in Italy, always in motion; or uncovering alikeness in the impermanent houses and invisible lives of those surviving on the streets of Japan. Since 2010 he has been collaborating laboriously with improvise musicians and poets, and incorporating music, text, sound poetry and installations in an experimental form of silent cinema. He is interested in an alchemistic approach to photography and in the attempt of a visual creation to express a deeper and secret meaning of life.